You may have noticed before I don't take current smart home technologies very seriously mainly due to their pointlessness (5 Things All Future Smart Appliances Should Do, 3 Pointless Smart Appliances). Well here's another reason for me to continue to not take them seriously. This is not smart! You can get this future right now by attaching bells to things and listening for the bell ringing. This is crazy. 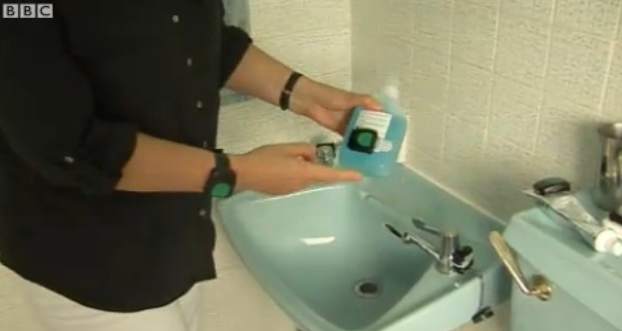 Lets track the toilet, the soap and the toothpaste then we can tell if the kids are flushing, washing and brushing. Or alternatively we could use our eyes and our ears to determine if the kids are doing what they're told and give them a smack if they're not. Sorry that's probably illegal (unless you don't leave a mark), that should read make them sit on the naughty step or discipline them in some other way. What use is this really going to be to any one in the real world. People are smart enough to move the toothpaste if they don't want to get caught not brushing. It won't tell you if they left a floater or if they brushed badly. It won't make sure they do the correct eco-flush for number ones and number two's. So in short this is an over-complicated, inefficient, expensive way of tracking stupid people's hygiene habits inaccurately. This is not headline news. This is not the future. this is not smart.